Kandy Kush was originally developed by DNA Genetics by crossing OG Kush with Trainweck. 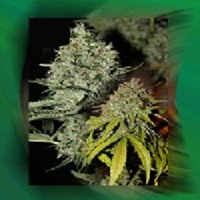 Kandy Kush Feminized Cannabis Seeds by The Plant Organic Seeds: Kandy Kush was originally developed by DNA Genetics by crossing OG Kush with Trainweck. The Plant's version is derived from the original clone and has been in their possession since 2010. 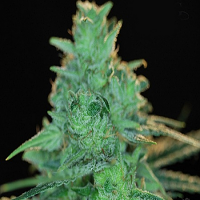 It is 75% indica and has a thick-set structure which ably supports the dense buds. Kandy Kush grows to a height of 100 - 120 cm. and develops a large, dense central cola. It devours nutrients but does not enjoy conditions of high humidity so growers are advised to provide good air extraction and circulation. Indoors the flowering period takes 8 weeks producing yields of 350 - 450 gr/m2. Cultivated outdoors in northern latitudes harvest time will be during October with good yields in the region of 450 - 550 gr/m2. This strain exudes a fresh, sweet aroma and it tastes of caramel and strawberries, a combination from which its name is derived. THC levels have been measured at 15.49% with low CBD of 0.1%. The effect is very sleepy but with a pronounced giggly side as well. It is a highly effective therapeutic strain that is recommended for both pain relief and as a stress buster too.